Search Engine Optimisation experts like us to think that they understand things we don’t, that their task is truly specialist and that we need their expertise. It reminds me of the way doctors sometimes behave, using long words as a way of convincing us that they understand things in a special way. For example, they might refer to us as suffering from “infective nasopharynigitis” – sounds complicated and dreadful doesn’t it? yet all it means is you have a cold. Similarly, SEO experts might tell you that you need to consider the impact of ensuring that your “CMS accurately produces H1s” – in other words, your website software needs to put a headline on each page. Using jargon and six words where two will do is a common technique of job protectionism. Doctors do it, lawyers do it – heck even psychologists do it – and so do SEO specialists. It is part of the method by which we divide our working world into social groups and exclude others from them. The result is that jobs often appear more complex and difficult than is the case. And that is as true for search engine optimization as it is for brain surgery. This is shown in a recent study looking at “GEO specific URLs and their relation to SERP results”. Translated that means: does having a place name in your website address affect the position you get when people search for something related to your locality. Which is a bit like asking if having the name of your company in your domain name affects where you will come on the search results when people Google you. Do we really need “experts” to study the obvious? What they have discovered is that if you have a locality in your domain name and people search for something in your local area, guess what, you appear higher in the search engine rankings than similar websites that do not include the geographical information in their URLs. It is all rather like saying, if you want to be found when people search for the word “printer” that you ought to include that word in your domain name. It is not the proverbial rocket science to work that out. Yet, every day you will find debate on forums, questions on LinkedIn or Quora or Yahoo! Answers all asking whether or not you ought to include words in URLs, or whether you should have hyphens in domain names, or whether you can use capital letters and so on. The reason for such questions is that SEO specialists have made us all think their world is some complicated, difficult blend of science and art and that you need a massive amount of technical understanding. Some search marketing companies do not help matters by offering a “university” on the subject, when all they mean is either a half-day seminar, or some downloadable training materials. Search Engine Optimisation is frequently not as complicated as it seems. If you want to be found for something then your page clearly needs to be about it. That means the page title needs to say what it is, the headline needs to reflect it as does the text and the pictures you use. 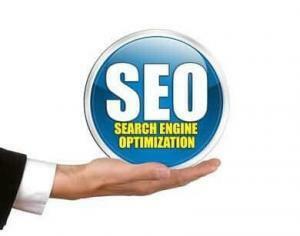 Do that and people looking at your page will know what it is about – as will any search engine. After all, Google’ own advice is “do not write for search engines” but write for people instead. Of course, there are some technical aspects of SEO which are complex, which lay “behind the scenes” and which require expert knowledge and advice. But for the most part getting your web pages well-ranked in search engines is pretty obvious stuff. As a psychologist you’ll understand why we find it upsetting when people categorise us and then judge us according to that categorisation. It’s as crass as saying “anybody who sees a psychologist is a nutter”. It’s true that there’s a world of difference between regulated professions and non-regulated – but I’d be amazed if you’ve never met a psychologist who’s made you wonder how on earth they qualified! – so yes, SEO has more than it’s fair share of quackery… but that doesn’t make us all quacks! Short list a few likely candidates – 3, 6, 12 – whatever works best for you. Contact them by phone, email, post – whatever works best for you. Explain what you’re looking to achieve. Ask them to take a look at the problem and outline how they’d solve it. Ask them how long it will take and how much it will cost. Ask them for references from current clients. I wonder which profession would furnish the more complete replies? Graham, let’s try a test – you have my email – ask a few friends of yours to drop me a line (don’t mention your name) and see what I provide to people before there’s even the thought of money… in an average month I tell potential clients that they don’t need my services just change the following half dozen things and you’ll be fine. And you outline a simple case of somebody who doesn’t need the professional services of a psychologist and I’ll use it to contact half a dozen psychologists – and see how many reply saying “you don’t need to talk to me – just do the following…”. We can call it “SEO vs Psychology – who can you trust”? Thanks for the comment, G. But I fear I did not make myself clear perhaps in the original text. The point I was trying to make – and even admitted that psychologists do the same – is to demarcate their profession by using jargon. All psychologists do it, all SEO experts do it, all bus drivers do it. Every job uses its own language to help define that job. I was not implying that SEO people try to pull the wool over our eyes deliberately, but that we all have the wool pulled over simply because of the jargon. But jargon gets in the way of understanding, so sometimes the jargon used by SEO experts (or indeed psychologists) makes people think the subject is more complex than it really is. That means people can either end up hiring SEO services when they don’t need them – or indeed paying for therapy when they don’t need that either…! And it seems we agree anyway – you say you tell people to change a handful of things and they’ll be fine, which is what I was implying in my last paragraph. However, I am sure we also agree where I say that sometimes people do need help from SEO experts. I wasn’t saying people do not need your kind of services, nor was I trying to pit SEO vs psychology or anything else for that matter. What I was trying to say was that SEO can often be quite straightforward. I completely agree, much of SEO is common sense and what *should* be implemented by web developers. Sadly, websites are often created without knowing *why* or what they are really about. I get frustrated that most of the SEO work that I get is correcting simple mistakes and finding why clients actually have their website. Thanks Charlie; I agree it is often frustrating to discover that much of the more obvious aspects of SEO could have been completed by a competent web designer or developer, yet often leave out this aspect of service to their clients. However, perhaps that’s why the UK has an SEO industry which was reported this week to be worth £500m…! It seems that poor web development firms are actually helping you keep in business…! Hi Graham, again another fantastic on point article: most ‘professionals’ are experts at stating the obvious in their chosen subject and doing it in such a way that they often confuse people so much that the customer either falls for it or simply walks away. I have always (as you know) advocated that SEO and SEO tasks are easy, it is the implementation that is not – or, so it would seem for most web developers/designers. There are fundamentals that are just not followed. If one thinks of Google or others as a ‘news’ propagator – it is a simple fact that they will pick up on headlines, correct page titling and regular content updates as well as local relevancy. Our job as advisers is to get that message out there as succinctly as possible and with so many web developers out there – especially the barman down your local pub – it is particularly difficult to persuade people to invest in their SEO from the beginning – keep up the good work..